A 400-level Law student of Obafemi Awolowo University, OAU, Ile-Ife, Ige Dipo, has committed suicide at his residence outside the campus of the university few days after his lover broke up with him. It was authoritatively gathered that Dipo, said to be above average academically by his colleagues, was found dead in his apartment at Asherifa area, a stone’s throw from the campus, on Monday. Dipo’s suicide note left for his father reads in part: “Father, while reading this message, I would have been gone” before he allegedly ingested some substance later discovered to be poison. The deceased, a member of the Christ Apostolic Church Fellowship on campus before his death was said to have met the lady last year. It was gathered that Dipo’s lover had been financing his education for over eight months of their relationship before calling it quits with him. The lady, also a member of the same fellowship, was said to have broken up with Dipo because of his poor background and she could no longer cope with him. This development, according to a source, was said to have subjected Dipo to emotional trauma. He was said to have threatened that he would commit suicide should his lover remain adamant on her decision before he finally took his life. Meanwhile, Dipo’s untimely death has been described as mystery by his fellow students, who urged the police to conduct thorough investigations to unravel the circumstances surrounding his mysterious death. While the news of his death filtered into the campus, some students who knew Dipo expressed shock over the sudden death. 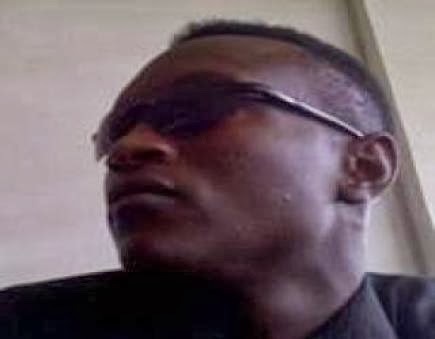 Describing the late student as a person who lived a lonely life, some students, who spoke with our correspondent on OAU campus, said his studious life should be emulated by fellow students. Our correspondent further gathered that his lifeless body had been taken to Ibadan, his home town by his family members. No one has the right to take his/her own life!!! It’s such a pity. If your friend is feeling suicidal, please speak to someone if you feel your efforts might not save them. Don’t handle it alone, speak out to reach out, cos someone else might just be of help. This entry was posted in General Emotions for singles, dating, married, Divorced, Men and tagged OAU Student commits suicide over lover dumping him, Oladipo Ige Commits Suicide.